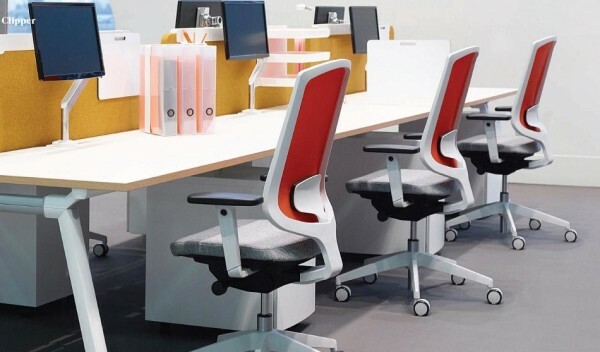 Our top level task chairs are ergonomically designed, with a choice of multi-function mechanisms allowing the user to perform work tasks in comfort. 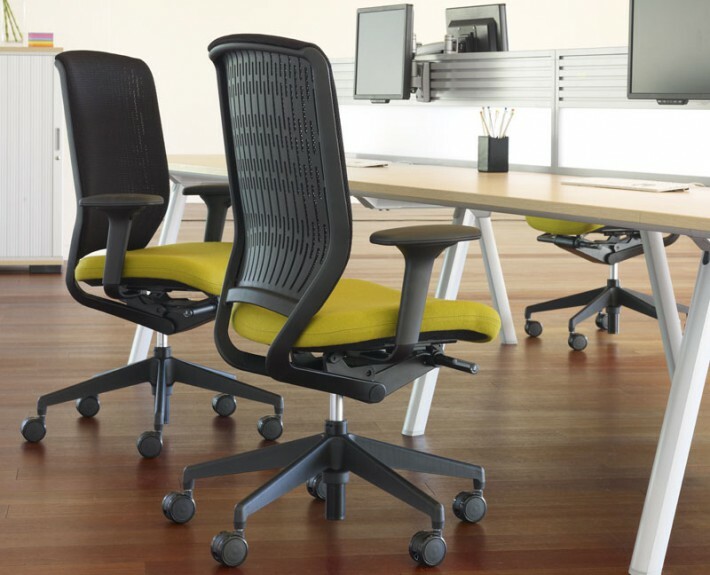 The Evolve Chair features a progressive synchronous action that includes forward tilt, multi-function back lock, and seat depth adjustment. 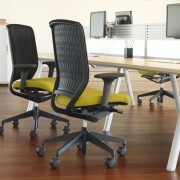 Features include a suspended upholstered membrane back or a 3D mesh back. 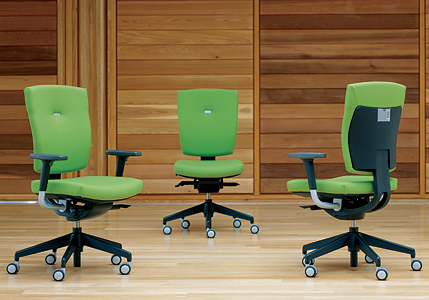 Dash is designed for comfort and performance. 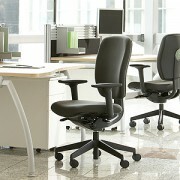 Competitvely priced this task chair includes synchronised mechanism and ergonomic integrity. This product is competitively priced and is packed full of features and style. 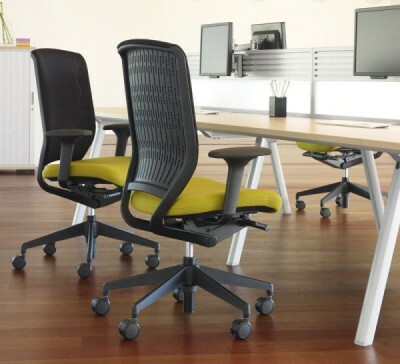 Apart from its distinctive back handle, the backrest features a sliding adjustable lumbar supported within a fixed back, as opposed to a height adjustable back. 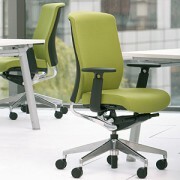 The chair also features a dynamic permanent contact action. 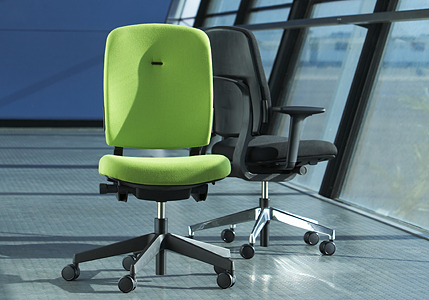 In addition to this the generous seat cushion thickness and curvaceous ergonomic upholstered shape maximises comfort levels. Enigma provides the very best comfort and support in all the right places for all physiques. 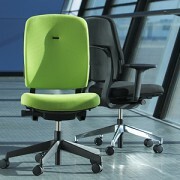 With its progressive synchronous action and adjustments for seat depth and back height. 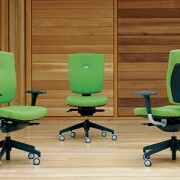 Options include a choice of arms, negative seat tilt and a Schukra lumbar adjustment. Fantastic comfort with simple and elegant styling. Features include a unique dynamic synchronised mechanism that provides an excellent range of movement to support the individual. 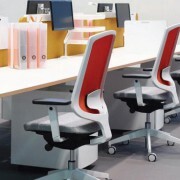 A soft touch 3D self supporting mesh gives fantastic support with the integration of a height adjustable lumbar support. 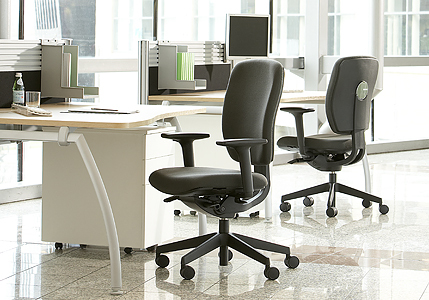 Designed for simplicity and ease of use with an understated style. 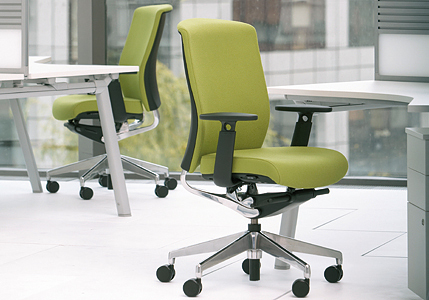 Featuring a synchronised mechanism, seat slide and back height adjustment.